Clayton Valley Charter High School surpasses opponent expectations with the highest improvements in API scores in California. It is unbelievable what teachers are willing to do once they become inspired. In its first year as a charter school, Clayton Valley Charter High School (CVCHS) improved its Academic Performance Index (API) score by 62 points, to 836 for 2013. CVCHS’s API score showed the largest growth in California for large comprehensive high schools and showed the largest growth in Contra Costa County for elementary, middle and secondary schools. The improved API score is a direct result of the school’s conversion to a charter school in 2012 which was led by Pat Middendorf and Neil McChesney. Middendorf and McChesney, teachers at the time, sought conversion after being fed up seeing their school and students suffering from budget cuts and school district red tape. A year later and under Executive Director, Mr. David Linzey, the school has recognized improvements in culture, student engagement and responsibility; as well as, greater communication among all stakeholders. CVCHS’s instructional program includes project/problem-based learning, Socratic seminars; student research and presentations, instructional guides with quarterly benchmark assessments, dynamic intervention programs, targeted case management of low-performing students, and a comprehensive professional development program. An overall improved API translates into an average 9% improvement across all of CVCHS’s student groups as well. The school attributes their academic success to widespread buy-in to their vision. Teachers, clerical staff, coaches, administration, parents, local political leaders, and business partners all took ownership of what has quickly became a true community school. Motivation and inspiration are key themes at CVCHS, and the results are showing. The Academic Performance Index is a single number, ranging from a low of 200 to a high of 1000, which reflects a school’s performance level, based on the results of statewide assessments. Its purpose is to measure the academic performance and improvement of schools. Clayton Valley Charter High School is a public charter school located in Concord, California, serving more than 1900 students in the cities of Concord and Clayton. The mission of CVCHS is “to unite our stakeholders, including students, teachers and staff, parents, and community members, in a common goal to diligently prepare all students for success in the 21st Century. We believe in instilling timeless principles and fostering a culture of excellence with rigor, relevance and relationships” (Charter Petition, page 6). 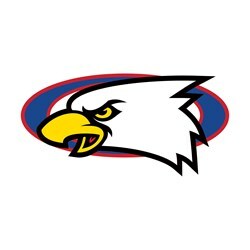 To learn more about Clayton Valley Charter High School, please visit http://www.claytonvalley.org.